Took the kids to Bath today for a scout around the shops, we walked along by the river Avon and had a quick look at the Rec. There you go son that’s where you want to play rugby … no dad I want to play at ANZ …….. I see I have some work to do here. Georgian architecture, narrow lanes, a bit of culture, cornish pasty shops and lots of tourists floating about – did not go inside the Roman Baths we will save that for another day. There is only so much to absorb in one day. Back to business, there are lots of opportunities for great beers in Bath, been to a lot of pubs here many years ago and most of them still survive. 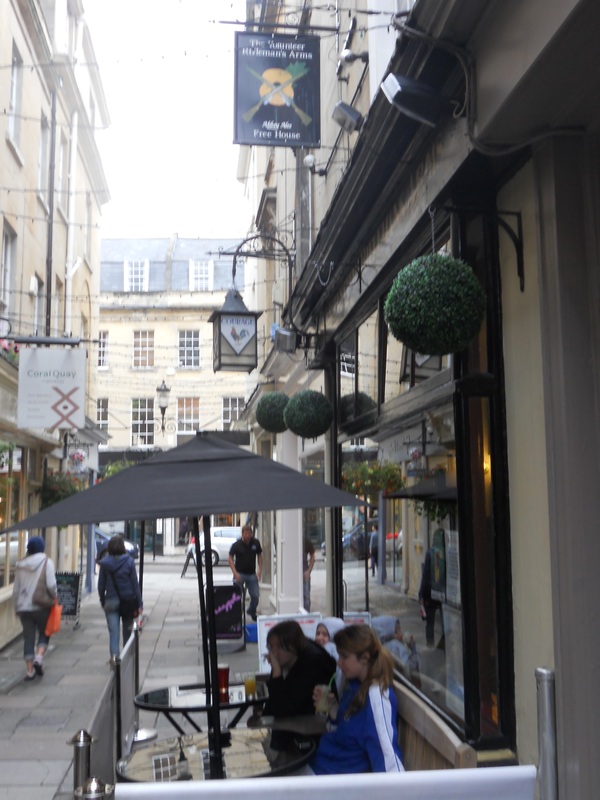 Along one of the lanes decided we would pop into the Volunteer Riflemans Arms in the heart of Bath. 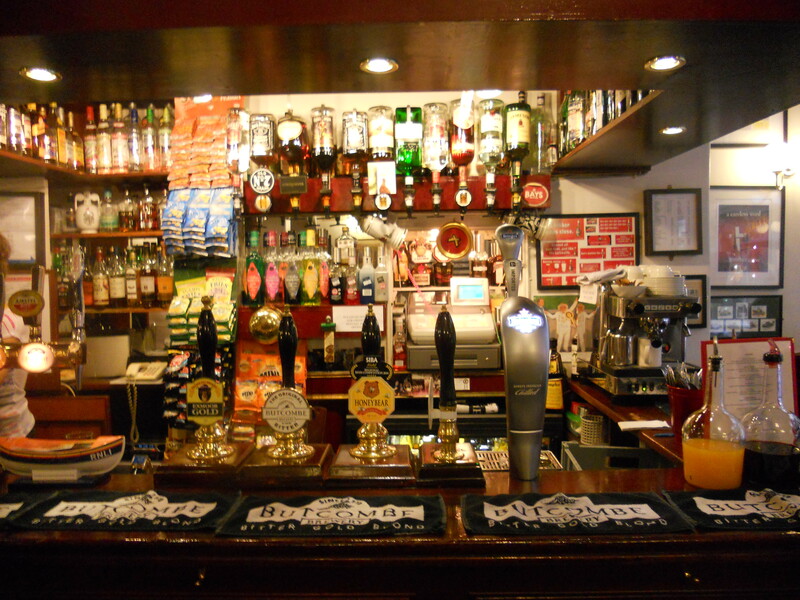 This is a small pub with 1 bar and lounge. Lots of war time memorabilia on the walls plus a couple of framed England and Bath rugby jerseys. A decent choice of real ales, Butcombe and Exmoor were on tap along with a house beer. I decided I would try the “house” beer (Riflemans) – which was the weakest of the cask beers at 4%. This beer had a nice copper colour and was a very smooth English bitter. I took a few photos although got a few funny looks from the locals inside (would have liked to have got a few more). Only the 1 beer for me but this is one to try again and would recommend a visit to this pub. This evening cracked open an Old Thumper. I think this beer may have been in a previous blog, or at least one from the same brewery. However, it continues a beast theme (along with Exmoor Beast Real Ale) from my 1st blog describing itself as “Beast of Beer” and was also one from Tesco . 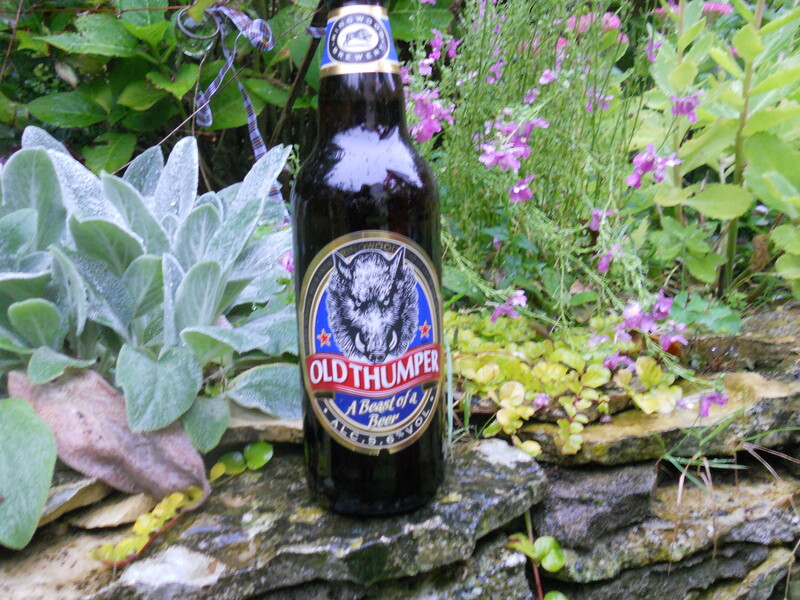 It originates from the New Forest, Hampshire, one of oldest natural oak woodlands left in the UK, where plenty of boars (old thumpers) would have roamed a few hundred years ago. This beer had a bit more of a sharper bitter taste, fairly potent at 5.6%, and is a good English real ale. It describes itself as a deep brown strong ale with a spicy fruit hop aroma and a warming malty finish. Ha. Very funny to hear about the weird looks. Did you get the email to your bigpond address about Bath Ales?